To realize its vision of “access to high-quality health care for all”, AIGHD closely collaborates with implementing partners and organizations from both the public and private sectors around the globe. 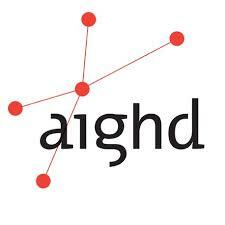 AIGHD works by linking expertise, resources and programs from organizations involved in health-related research, education, capacity building, and policy making, bringing a ‘delivery perspective’ to health research and a ‘quality aspect’ to health care services. The position The Amsterdam Institute for Global Health and Development (AIGHD) is looking for data manager who will be responsible for data collection and quality monitoring on an innovative HIV Test & Treat project in Shinyanga and Simiyu regions, Tanzania. One of the main sources of data for the research project is the standardized data collection by the all Care and Treatment clinics (CTCs) in Tanzania. Data collection is overseen by the PEPFAR implementing partners at regional level and operationalized by data clerks at CTC level. Clinic care and treatment data is provided to the National AIDS Control programme via an electronic data sharing system. For research purposes it is important that this standardized CTC data is collected to the highest possible standards at the four research sites. The senior data manger is responsible for high quality data collection trough monitoring and evaluating of data entry and data output and will therefore work closely together with the data entre clerks as CTC level and CUAMM’s data entry clerk. Furthermore, is the data manager responsible for liaison with the NACP and AIGHD data managers to ensure consistent and high-quality data within the Shinyanga and Simiyu regions, and with the University computer center database developed programmer for the development of additional databases. Developing a data management plan. Supervise accurate and timely data entry and processing and conduct regular monitoring visit to the research sites. Coordinate and align with AGPAHI and the NACP about CTC2 related trainings and updates. Provide training and on the job support to CTC and AIGHD supported data clerks. Perform consistency checks, data retrievals and write monthly database progress reports (in bullet format), indicating bottlenecks and successes and a full quarterly progress report. Regularly coordinate with the NACP database manger about user experience feedback, bugs and other issues related to data collection and entry. Regularly coordinate with the database developer/programmer (UCC) around new versions of database, bugs, etc. AIGHD offers an excellent job opportunity in a cutting-edge working environment in global health and development and a salary in line with prevailing sector standards. For more information about the job description please contact Ilona Sips ([email protected]). AIGHD is an equal opportunities employer and these positions are open to all, but ONLY qualified candidates should submit General questions, applications including CV and letter of motivation (in English) to HR Support [email protected] not later than Friday 30th November, 2018. AIGHD Stichting AIGHD takes a problem-oriented approach and transcends the boundaries of traditional academic disciplines to provide sustainable solutions in the field of Global Health. It is a dynamic network focused on research, education and policy advising. The Institute stands for a collaboration among biomedical researchers from the Academic Medical Center (AMC), social scientists and economists from the University of Amsterdam (UvA) and from the VU University Amsterdam (VU). In addition, its constituents include a number of non-governmental organizations (NGO’s), such as the PharmAccess Foundation, The Health Insurance Fund and the Medical Credit Fund, which have a pivotal place in the consortium. AIGHD links expertise, resources and programs from institutions that are involved in health-related research, education and capacity building. By doing this, it brings a “delivery perspective” to health research, and a “quality aspect” to health care services in countries with more limited resources. To be considered you must to be already resident in Tanzania and in full possession of a Tanzanian resident and working permit.